My life has gone through some major changes over the last few months and this will probably continue for awhile. These changes have been good ones, but they have drastically changed how I think and approach life. I now have a deeper understanding of myself, and the world around me. One of the things I understand is how much this world needs healing. There is not a single one of us who can heal the world, but if we each do a small part then major change can occur. I have decided that I can do a few things to help the healing process, and part of that is by creating a new blog series that I will be posting on once a month. I hope to do twice a month at some point, but I have a lot going on in my life right now and only feel comfortable committing to one a month for now. This series is geared at giving myself a place to speak up and share some of the things I have learned as I have grown and expanded over the last few months. But it will also be a place others can come to speak their truths as well. We live in a highly negative world and I think part of that comes from people not taking the time to be more open-minded and more understanding of others. I believe if we give everyone a voice to speak up and share their truths in an open and accepting way, we let in a light that is deeply needed for healing for ourselves, and others. I think there is a lot of things in this world that suppress the things that need to spoken about, and many people who need a voice and don’t have anywhere to be heard. So I offer this small corner of the Internet as a place to start sharing some ideas that might get people to broaden their horizons more, including mine. If you are interested in speaking up and out, please go to my contact page and send me a message with the truth you want to speak. Keep in mind that I will only post your message if it’s positive and spreads light. I will not be a party to spreading hate or negativity. I am very excited about this series and hope that it helps, and at the very least gives those who read it something to think about. I do not claim to know what works for everyone, just what works for me, so if my words strike a cord of truth, then so be it. If not, then that is fine too. And that goes the same for anyone else who posts. Let’s bring some positivity into the world and spread our light. Let’s combat the negativity with our deepest truths. Let’s build a bridge of understanding and open-mindedness. I look forward to taking this incredibly journey with each and every single one of you. 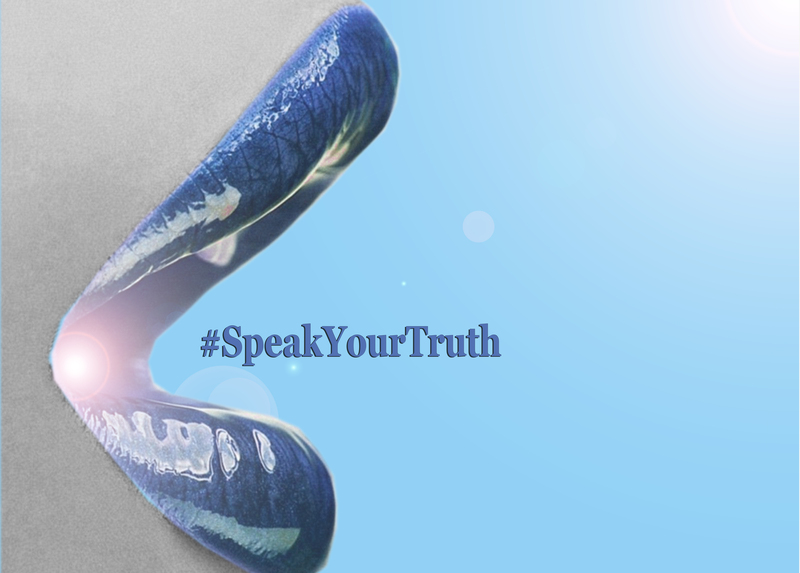 It’s time to Speak Your Truth, and listen to others as they speak theirs. Previous Post A Writer’s Wings Cover Reveal!